Ortech provides state-of-the-art technical alumina ceramics manufacturing by the most cost-effective processes. Ortech maintains efficient manufacturing facilities that support quick-turn prototype development and high volume production. *The chart is intended to illustrate typical properties. Property values vary with method of manufacture, size, and shape of part. Data contained herein is not to be construed as absolute and does not constitute a representation or warranty for which Ortech, Inc. assumes legal responsibility. The chart is intended to illustrate typical properties. Property values vary with method of manufacture, size, and shape of part. Data contained herein is not to be construed as absolute and does not constitute a representation or warranty for which Ortech assumes legal responsibility. 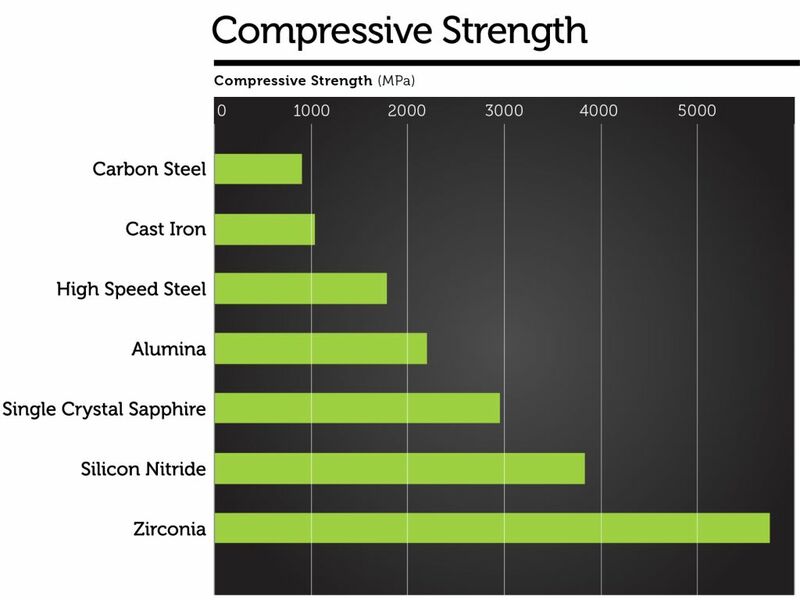 Silicon carbide ceramics maintains its high mechanical strength in temperatures as high as 1,400C It has higher chemical corrosion resistance than other ceramics Ortech offers a complete family of fully dense silicon carbide ceramics materials.